Free download Cricket 20-20 game for Symbian. Cricket 20-20 is a 20 over cricket game for Symbian and it proves that it is the most famous and most playable cricket game for Symbian. Cricket is most playing game in the world and has an endless craze about this. In some countries people worship the cricket and cricketers. 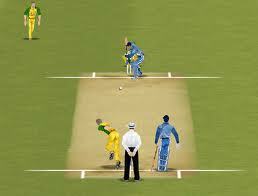 Twenty twenty cricket game is just like a fever and it is developed by Indiagames. Cricket 20-20 has the real life team and players. You can choose playing XI by yourself and you can choose one of international ‘Test Playing’ teams. The stats and profiles of every player and team are given. It helps you to choose the best one for playing. The names of players are slightly different from real life. Cricket 20-20 is very simple and interesting game and controls are very easy for batting and bowling. The graphics and sounds are also very amazing. When you are at fielding then you can also set the field according to your desire either defense field or attack. Cricket keeps you very busy and active and wants your attention while playing this game. It gives you the detail scorecard, batting and bowling stats. The player aggression and their spirits are watchable as they are animated players. When you hit a four or six or take a wicket down, the celebration and aggression of the animated players are admirable and delight to watch. As the people of world says that; they don’t like Cricket 20-20 but they loved it. This game is a little bit tricky to install, you have to install ‘Adtronic Application’ before installing this game because this game belongs to an advertisement platform which sends some banners to you device. There’ll be no add appearance in the game, don’t worry about this, you just need to install the ad application before install this game. Apart from this, the game is totally free; you don’t need to pay even a single penny.